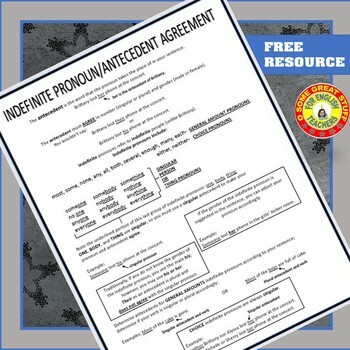 This reference handout is a great way to introduce or review indefinite pronoun and antecedent agreement rules with your students. 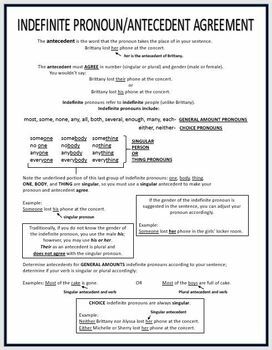 A great tool to have on hand for a quick lesson or as a resource for students. You can copy and handout or push out to devices. Beside each purchase you'll see a Provide Feedback button; click it, and you will be taken to a page where you can give a quick rating and leave a short comment about the product. I appreciate feedback that allows me to improve resources and create new ones to enhance your students’ learning.